1. Nurbek Mambetsariev. "Mechanisms of TRAF3 mediated regulation of B cell survival." University of Iowa.2018. 2. Kris Cameron Wood,Peter Saville Winter. 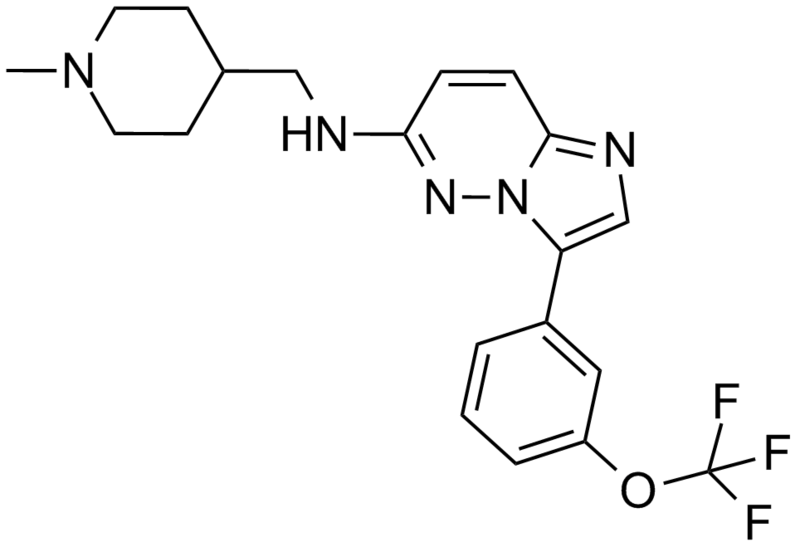 "Compositions and Methods for Treating Cancer with JAK2 Activity." 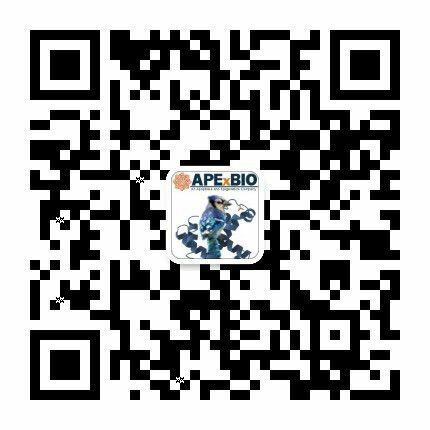 US Patent App. 15/027,216, 2016. Chen L S, Redkar S, Bearss D, et al. 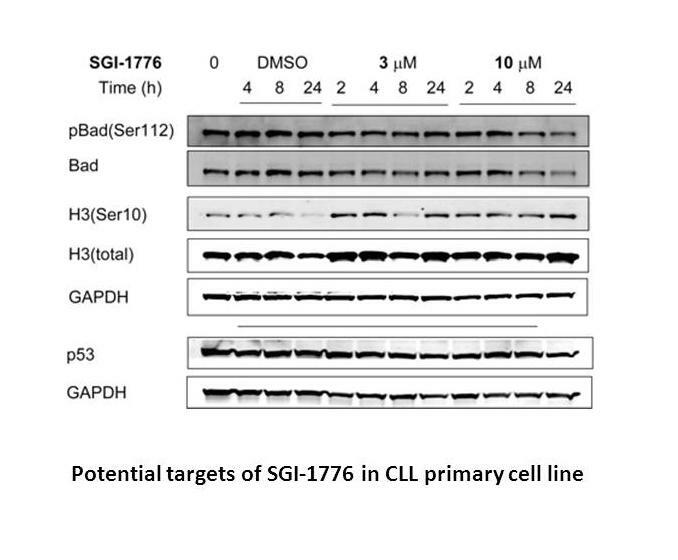 Pim kinase inhibitor, SGI-1776, induces apoptosis in chronic lymphocytic leukemia cells. Blood, 2009, 114(19): 4150-4157. Mahalingam D, Espitia C M, Medina E C, et al. 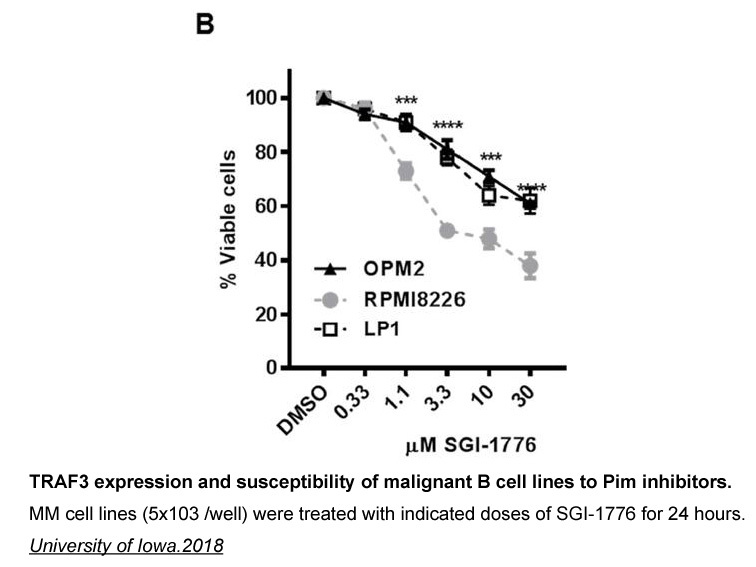 Targeting PIM kinase enhances the activity of sunitinib in renal cell carcinoma. 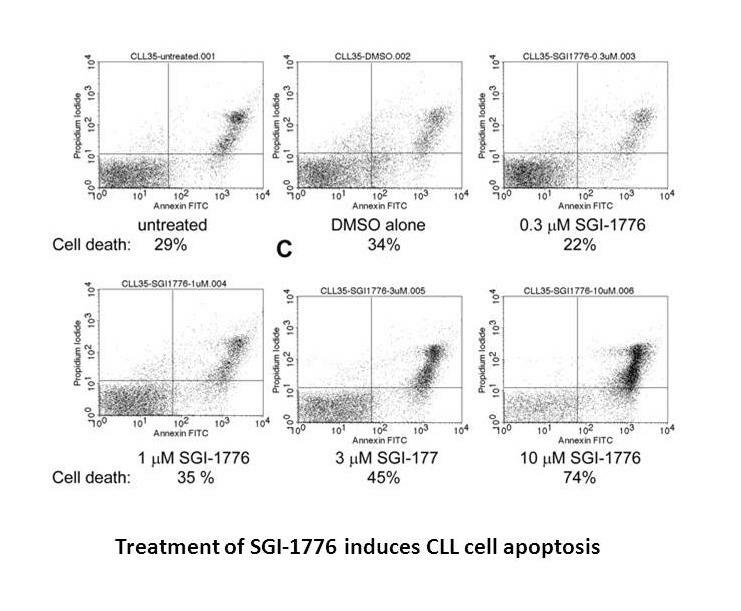 British journal of cancer, 2011, 105(10): 1563-1573.